Coach Steve Griffith's 600 Career Win - Go Bears! LCMCISD is happy to announce a partnership between the Little Cypress-Mauriceville School District, Texas Children’s Hospital, and Baylor College of Medicine. for safe, age-appropriate student research. The mission of the Little Cypress-Mauriceville CISD is to graduate young adults with the knowledge and skills necessary for success in an ever-changing technological society by guaranteeing each student an individualized and well-rounded education. The District and all six campuses have earned “Met Standard” in the State accountability ratings. LCM students have distinguished themselves in all arenas - academic, athletic, fine arts and vocational. All LCM campuses have earned Microsoft Innovative School status. At the high school level, being named a Microsoft Innovative School and IT Academy has enabled students to participate in coursework that will allow them to earn certifications as Office Specialists through Microsoft. 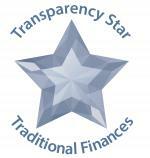 LCM CISD has a strong fiscal history with financial transparency, as evidenced by the top ratings on the Financial Integrity Rating System of Texas (FIRST) for as long as it has been in existence and also the Gold and Platinum Circle Awards from the Texas State Comptroller. 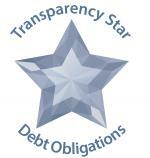 The Comptroller award is given to entities exhibiting best practices of financial transparency. Click this link for the financial transparency portion of our website.